Bluesman Bryan Lee showcases top tier guests on blistering new studio release for Justin Time; longtime friends Buddy Guy, Kenny Wayne Shepherd and Duke Robillard ignite Lee's My Lady Don't Love My Lady Justin Time Records is proud to announce the most recent recording by blues guitarist Bryan Lee, one of its best loved and best selling artists. My Lady Don't Love My Lady is a star-studded blues affair, featuring performances by the legendary Buddy Guy; Kenny Wayne Shepherd, who was mentored by Bryan early in his career; pianist David Maxwell, who intuitive playing blends seamlessly with Bryan's; and guitarist Duke Robillard, who also expertly produced the session at his studio in Rhode Island. The album starts out with Doc Pomus and Dr. John's "Imitation of Love," delivered with sincerity and a great vocal from Bryan - a much underrated vocalist in fact. Next is a sweet take on Chess star Willie Mabon's "I Don't Know," where Doug James' baritone sax and Gordon Beadle's tenor are arranged to sound like a full section, giving the track a real kick. "Three Can Play The Game" is an old Earl King admonition to a love gone wrong, again, with a heartfelt vocal from Bryan. Lee wisely chose Junior Wells' "Early in the Morning" for Buddy Guy to guest on. As Wells and Guy were inseparable for so many years, he's beyond qualified to imbue the track with his trademark authoritative guitar work, immediately recognizable. Friends for years, Guy and Lee have always wanted to collaborate on record, so Bryan is of course thrilled at this point. The record's other huge star, Kenny Wayne Shepherd, is prominently featured on his own composition, "Let me Up I've Had Enough," a real electric blues scorcher. The title track - one of three Bryan Lee originals here - refers to Bryan's two loves: his guitar and his wife Bethany Jane, to whom the record is dedicated. Born in Two Rivers, Wisconsin, Bryan Lee completely lost his eyesight by the age of eight. His avid interest in early rock and blues was fostered through the 1950s by late night listening sessions via the Nashville-based radio station WLAC AM, where he first encountered the sounds of Elmore James, Albert King and Albert Collins. By his late teens, Lee was playing rhythm guitar in a regional band called The Glaciers that covered Elvis Presley, Little Richard and Chuck Berry material. Through the '60s, his interest turned to Chicago blues and he soon found himself immersed on that scene, opening for some of his boyhood heroes. In January of 1982, in the midst of a particularly cold Wisconsin winter, Lee headed south to New Orleans, eventually landing a steady gig at the Old Absinthe House, where he became a favorite of tourists in the city's French Quarter. For the next 14 years, Lee and his Jump Street Five played five nights a week at that popular bar on Bourbon Street, developing a huge following and a solid reputation as a real-deal bluesman. He remains a featured attraction in New Orleans, where he continues to rock the house wherever he plays. He's been a regular at the Festival International de Jazz de Montreal (FIJM) since signing with the Montreal-based label in the early 1990s, and also performs regularly throughout Europe and North America. 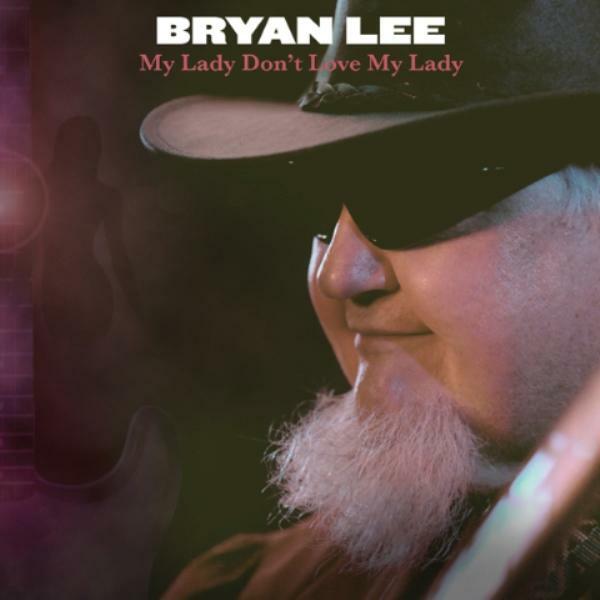 Over a career filled with adoring and ever-growing audiences, and after many acclaimed recordings supported by some of the best players in the business, My Lady Don't Love My Lady shows that Bryan Lee continues to deliver some of the most honest, heartfelt and soulful music you'll hear on today's blues scene.